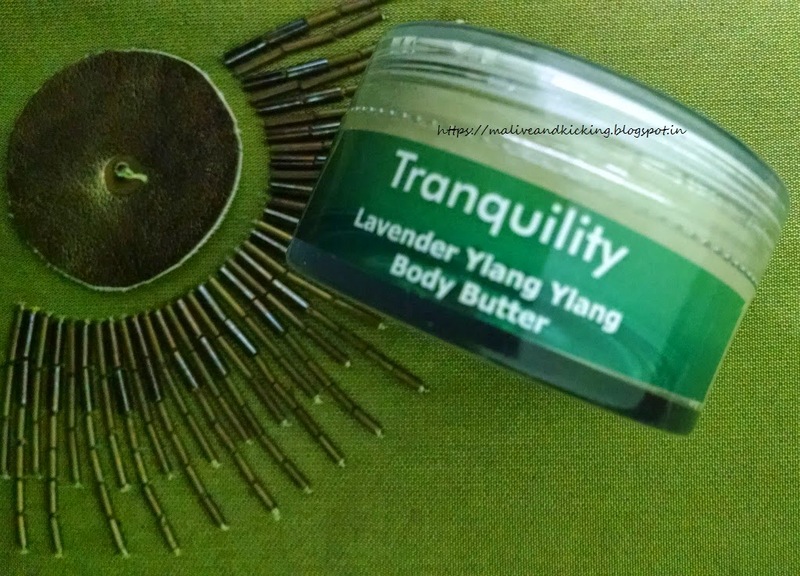 Today I want to share my experience with Navarasas Tranquility Lavender Ylang Ylang Body Butter. Navarasas Aromatherapy and Essential Oils by Nikki is a personalized, home based business aimed at creating the blends that are personally researched, studied & created by Ms. Nikki to fully harness the potential of aroma & massage therapies. Because the team 'Navarasas' believes in the fact that health is not simply the absence of disease. Holistic medicine is the concept of treating people by creating a balance between physical, mental, emotional & even spiritual elements of their body. I am instinctively fallen in love with this thought and so am ready with my views today .. This tranquil aromatherapy blend of essential oils claim to leave your skin feel smooth & nourished due to its Lavender & Ylang Ylang essential oils that sooth the mind & heal the body. 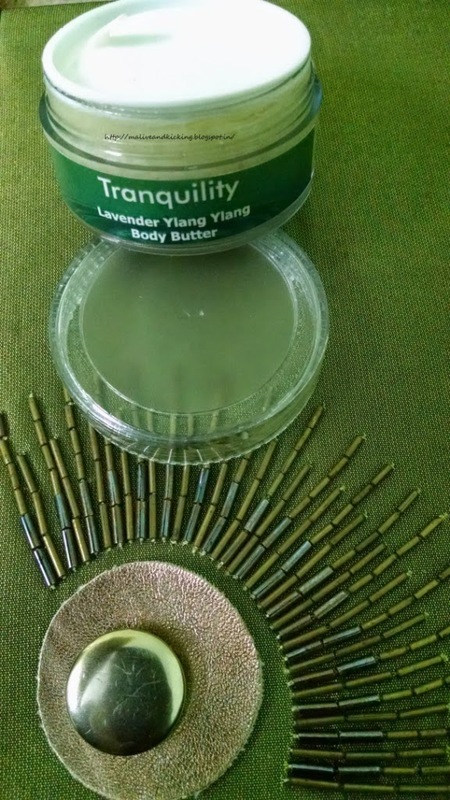 Navarasas Tranquility Lavender Ylang Ylang Body Butter formulated with ingredients like Bee Wax, Essential Oils, Fragrance Oils, Organic Coconut Oil, Raw Cocoa Butter, Sweet Almond Oil. It comes in a transparent tub packing with transparent screw cap. A white push-in cap is interleaved inside the screw cap. 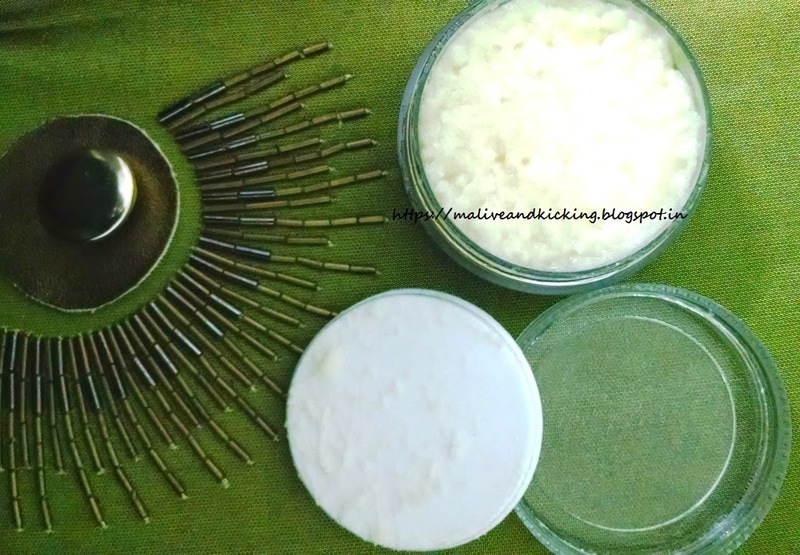 Inspite of the thick consistency, the body butter melts very easily at the body temperature. It feels quite oily until massaged nicely to get it absorbed by the skin properly. The skin feels happy with intensely moisturized with a light sheen visible on the top layer of the skin. My DRY skin behaved reasonably well after the application of Tranquility body butter. The lavender aroma might feel highly sweeter to some, but I like the delightful fragrance that lasts long enough. I noticed a great reduction flakes n dry patches on my skin after a regular use of one week on my body. I recommend it to be used on any body part other than face. Soothes the body n brain. Possesses curative properties of essential oils. Greasy enough to treat n heal dry skin. 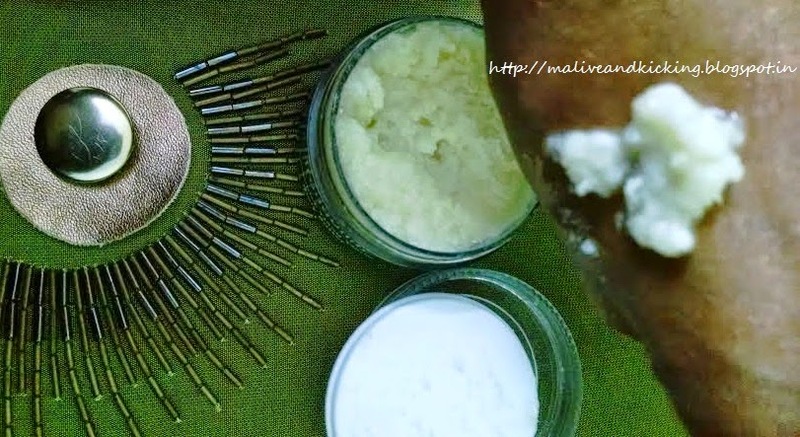 Stops moisture escaping from the skin. No adverse effect on skin. The aroma might feel stronger to sensitive noses. Looks like a good product..
yes Fatima, I was mesmerized by the lavender aroma firstly and after its usage I am a fan of tranquility body butter. Atleast dry skinny ppl should definitely give it a try.